Liverpool-Limo Specialise in all types of Limousine, Hummer Hire as well as Party Bus Hire. 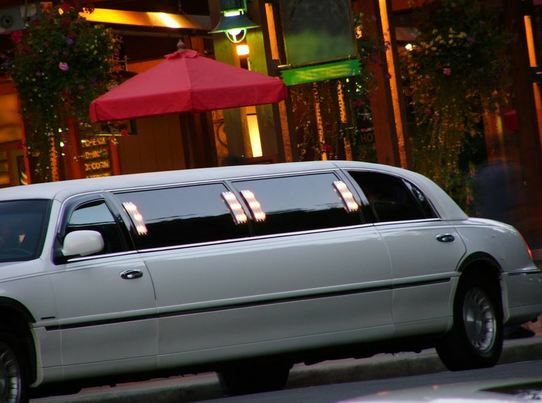 How to Book a Luxury Limo Experience Today! By Liverpool Premiere High-end Limousine Rental Company: “We look after of individuals and groups of all sizes, and ensure that everyone gets a ‘Five Star’ experience. Our Stylish, fleet of Limo’s, Hummer’s and the BEST Party Bus in the city can be booked for any occasion from Weddings, Parties, Proms to Shopping Sprees or travelling to the Airport in Style, and everything else you could possibly need one of our Limos for” Call 0151 675 0321 for the Best Limousine Service in Liverpool. What should you expect from Liverpool Limo Service? 1. Our Limos are exceedingly extravagant. We don’t skim over and cheap isn’t used to describe us or in vocabulary. Our aim is to make every person that uses our services feel like a true Celeb. 2. Our Chauffeurs’ are Crackin’. They take their profession seriously; they are Punctual, Polite, Proud and Prepared for every occasion and eventuality, and in the words of Mr Kipling ‘Exceedingly good’. 3. Our Rental Service is Flexible. We will work to fit our service around you and what you need, as it’s all about you and your guests. We’ve never failed on a challenge no matter what! So try us. We’ll be there – Not just on time, but early waiting for you – where and when you need us! 4. Extensive Service Area. Our limousine service will take you all over Merseyside, and anywhere you would like to go just let us know! We also cover all of the airports. If you’re in any doubt give us a call and we’ll confirm that we can provide a limo to your needs! 5. Peace of Mind. This is for you; it’s about making your experience hassle free and straight forward providing you with everything you’ve asked for! Kick back and Chill or Party to the rafters. We guarantee a smooth ride, without a worry of timing or traffic. We look after the details so you can enjoy! 6. Any Event – Any Time. Liverpool Limos have a fleet extensive enough to ensure we don’t have to say no can do. That way you’ll know who to call, even when you’re panicking at the last minute… US! 7. Sizzling Star Status! Even the shy customers can’t wait to look out of the Roof Hatch, which might be linked to the bubbles being drunk, and wave at their public turning their heads to see who the Sizzling Star is. When you get the urge, just give the Chauffeur the nod. Also don’t forget you’re the star travelling with us so that those doors will be opened for you! 8. White Glove experience. We take tremendous pride in maintaining after our Fleet, keeping all Limos spotlessly shining. From the Classy interiors to the eye-popping exteriors, we ensure that they’re a mile ahead of the rest with our sassy, stylish limos. 9. Safety First. From our experienced drivers to our well serviced Fleet, we offer you the safest ride in Merseyside. Add this to the other cars knowing that we’re coming through; you’re in the best hands! 10. World Class Service. Forget Liverpool. Forget Merseyside! During this experience, you could be anywhere in the World. Our reviews go as far as saying that clients have felt in a land of their dreams even from Tree surgeons Liverpool! Roll out the Red Carpet for these Luxury Services! 1. Airport Service. Want the Red Carpet Experience when you fly you flee out of Liverpool John Lennon Airport, Manchester or any of the airports in the North East or West. 2. Anniversaries. Why not treat your loved one like a star on your Anniversary and talk over the year you’ve had in one of our Custom and Unique Luxury Limousines with a glass of free glass of fizz! 3. Asian Weddings. Of course, it’s the best day of your lives why not let us make it the dazzling dream you’ve been waiting for, with our team at Liverpool Limousine Service. Let us take the hassle and you just trust that it’s going to be everything you want! 4. Birthdays. It’s a once a year event why not spoil yourself in true style and celebrate the big day with a jaw droppin’ brow raising Birthday Surprise for the Birthday Boy or Girl. There isn’t anything else that compares to our Birthday Limo Hire! 5. Casino Tours. Whether you choose The Genting Club on Queens Square or the state of the art Grosvenor Casino’s on your doorstep in Liverpool let us treat you to a Rocking Roller Experience to help you compose yourself into the lucky mood you need to rake in those chips! 6. Children’s Parties. Help your children to feel like true mini celebs, with this extra special gift for them and their friends. Watch the other parents drop their kids off in awe of what you’ve got. Hire the best party bus in town! 7. Concerts. With the O2 arena and Studio 2 on Parr Street hosting the best of the best in bands from all over, let us take you there in the most stylish limo you could dream of. Feel like the true star when you step out of one of luxury Limos at the echo arena! Step out like the sizzling star you are! 9. Dining Out. Want that first date to turn into a second? Or Make your partner feel special and treat them to the perfect experience and take them there in a luxury limo with Liverpool Limo. 10. Executive and Corporate Services. First Impressions are everything in the Corporate World so let us make wow your prospective clients with Liverpool Corporate Limousine Service. It’s sure to show them you mean business. 11. Graduation Parties. After two, three or even four years of study why not let us do the hard work so you can sit back and enjoy your graduation in style. Knock those graduation caps off and celebrate all your hard work! 12. Hen Nights & Days. It’s your ‘last night of freedom’ let us help make you feel like you’ve had the most fun you could wish for. Our drivers not only know the best ways around Liverpool, but they hold a couple of saucy secrets to making it special! 13. Night on the Town. Let’s get ready for a night on the town! Ladies get those dresses and brows perfect, gents pick your best shirt and experience a top night out on the Liverpool tiles! You’re all dressed up now time to arrive in the most luxurious Limo. Or why not start the minute you leave your front door in our Stylish Party Bus. 14. Parties. Liverpudlian’s love an ultimate party so do Liverpool Limo Hire, so why not kick back and let us make sure that your party is the best and no boring moments. 15. Pride Day & Nights. Pride happens once a year, but Proud nights and days are all year round! What better way to do it than in the luxury of a Limo or partying on our Party Bus. Invite all your friends and have the best time. 16. Prom Night’s. Whether you’re from Belvedere Academy, St Francis of Assisi Academy or St Margaret’s COE Academy, celebrate the end of high school with the best friends that you have made. Mae more of your night with your group partying together the way you know you should do it! 17. Shopping Trips. If it’s Liverpool 1 at the heart of the city, Lord Street or a trip down Lark Lane, kick back relax and let our Chauffeurs take all the strain out of it and leave you to the important part……Shopping. Let us hand you a glass of fizz and take you where you need to be! 18. Seasonal Events. Liverpool Limos will enlighten Christmas Light Tours, Halloween Costume Parties, New Year's Eve Parties, Valentine's Day, St George, Andrew, David and Patrick days, 4th of July for our American friends and many other seasonal events you wish to celebrate! 19. Sporting Events. Whether you’re watching tumbling gymnasts or Body builders or attending the ‘Mersey games’ at Echo Arena or The wire, is there a better way to arrive than in one of our Limos! 20. Stag Nights & Days. Right lads, tonight is all about Partying Hard! Let our Professional Chauffeur take all the worries of organising away from you. He’ll show you the best places Liverpool has to offer to ensure you experience the ultimate Stag Night. Wave goodbye to the singleton you used to be with a Luxury limo taking you everywhere! 21. Theatre Nights. Treat this classical occasion with that special touch that it deserves. If you’re dancing like a queen to a magical musical or settling down to a Show. 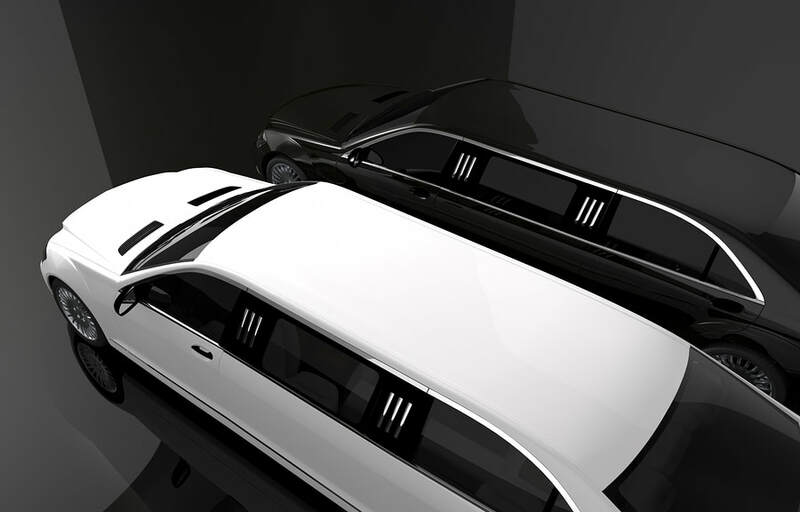 Make it perfect with a Liverpool Limo. 22. Weddings. It’s the most important day of your life, you had you hen and stag days and nights and now it’s time to walk down the aisle, this once in a Lifetime moments deserve a once in a lifetime personal service. We at Liverpool Limousine Service provide all of this from the tip top of your day until you’re jetting off into the land of love with your partner…Love makes us weak at the knees! Whether you need a Limo now or if you’re just gathering information for a future event or party such as a wedding, simply fill in the two-second form on the right-hand side for a ‘No Hassle Guaranteed’ FREE quote. As a Premiere Limo Service in Liverpool, we love offering the most Luxurious Limos for great Wedding Limo Hire prices.